Jen and Jay had their Long Beach Wedding at the Museum of Art. 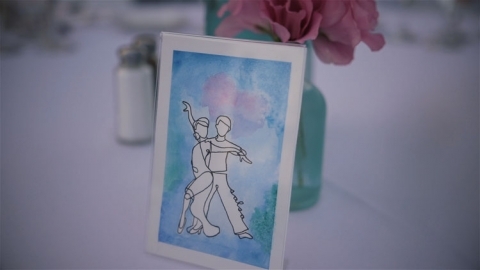 The two love to dance and that theme ran through their story. We just loved that! They talked about it in their vows, their friends talked about it in the speeches, and the two performed choreographed dances. They even had all the table named different types of dances and hand painted watercolor and drawings! Jay was a little nervous and emotional as the day began and nothing could wipe the smile from Jen’s face. As guests entered the museum, they were welcomed with an instant photo taken which they could then add to the fun string art of California. It was a fun and unique welcome booth. The ceremony was overlooking the ocean and outside. Jen and Jay not only had lovely personal vows, but their officiant told their story as well. We loved seeing the joy on everyone’s face during the ceremony but Jay’s reaction when Jen came down the aisle was the best! We just love seeing that! This wedding is also proof that you can have a first look and still have a great reaction down the aisle. The reception was just full of fun. The speeches were really great, the decor was simple and beautiful and the guests even got to wander through the museum during cocktail hour to check out the installations. Each of the bridal party for the grand entrance did a fun dance and of course our dancing couple made a fun entrance as well. The dance floor was packed and everyone had a wonderful time. 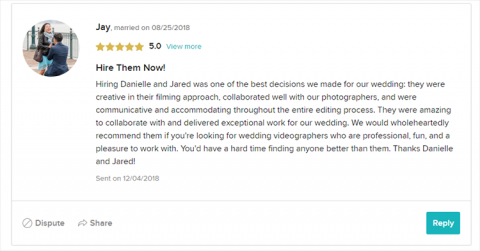 We hope you enjoy this Long Beach wedding! !